Do you have a new baby and a toddler or two? This unique and nurturing 6 week workshop is for all mothers with a new baby and a toddler or two. You know who you are as a mom, but bringing a new baby home where there are already other children, is a massive change on the whole family system. Toddlers often act out with all the change and parents get frazzled and exhausted. The art of selfcare and consistent respectful parenting is vital to a fulfilling experience as a mother. Each workshop is different depending on the needs of the mothers in the group. Every mother has her own journey. At the core is the spirit of unfolding - discovering who you are, what you are letting go of, and defining who you want to be as women and as a mother. "This group was my lifeline. Becoming a mother was hard for me. I missed my life a lot and I felt so alone. This group anchored me. It helped me see I am actually normal. I love being a mom now". "I loved being with other like minded women and I felt so much support. It really helped me feel good and confident as a mother. Thank you Sally"
"I left the workshop feeling stronger, more confident within myself and proud to be a good mom. Meeting other moms and women that all have their stories and struggles, made me realise that I am not alone in this walk and that there is support all around. I learned a great deal about myself based on the topics that are covered and discussed." "I came to this group with my second baby. I was worried I would be the only mom with 2 children. I certainly wasn't the only one. I wish I could have had this kind of support with my first baby. I would have had a much easier time. It was good to see I am not the only one feeling like this and to know what my baby is doing is normal. This mother thing is hard. I wish more women would be honest like in this group. Then women wouldn't feel so unsure or alone." "I felt so safe in this group. I have met some amazing women and we are continuing to meet each other." "My favorite was the structured exercises that required deep thinking and introspection followed by group sharing. 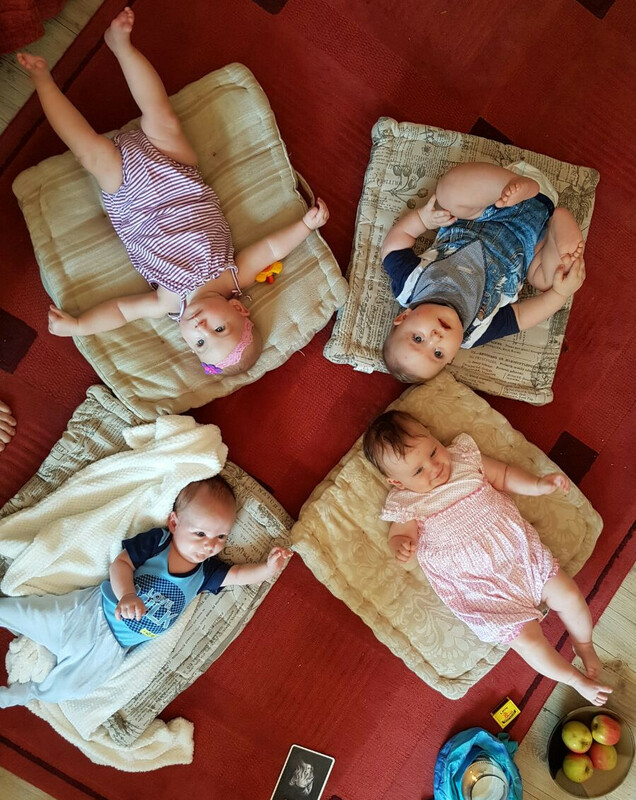 They got me to focus and to listen to my inner voice, which is so important, yet so neglected in the mad race of looking after babies...To sum it up - the mothers group was an enriching, educational and fun, life-saver!" "I enjoyed getting to meet the other women. I was feeling so isolated, and suddenly I didn't feel like I was so alone, that I was surrounded by people who understood what I was going through. Even though we came from different backgrounds, I felt like the workshop was such an amazing space where it felt safe to share and connect. My favourite - I really got a lot out of the exercises we did - I find myself still thinking about them....I also really enjoyed the emphasis on women and motherhood and the lineage of women that connects us all.....I think for me personally, one of my favourite parts of the workshop was the day when we talked about judgement, and addressing how we all judge ourselves, hold ourselves to these unattainable standards. I was feeling like the only one who felt that way. I really benefited from the chance to talk about this with other women. Thank you. Oh - and one other 'favourite! '- I loved hearing your stories! Sally you're an amazing storyteller - so excited to tell stories to my daughter"
There is so much focus, information, classes and workshops targeted at your baby. What about you, the mother? This one is for YOU! This unique and nurturing workshop style support group is for all new mothers with pre-crawling babies. Whether motherhood feels natural & wonderful or feels hectic and is the loneliest steepest learning curve you've ever had; this workshop will support and grow you. There is food for your soul, your new mommy soul. Through facilitated activities and discussion women explore what it means to be a mother. Who are you now that you are a mom? Who is this new you who has to integrate all these new responsibilities and feelings? How do you do it the best you can? Honest conversation and interaction with other mothers is vital in making the transformation to confident mothering. 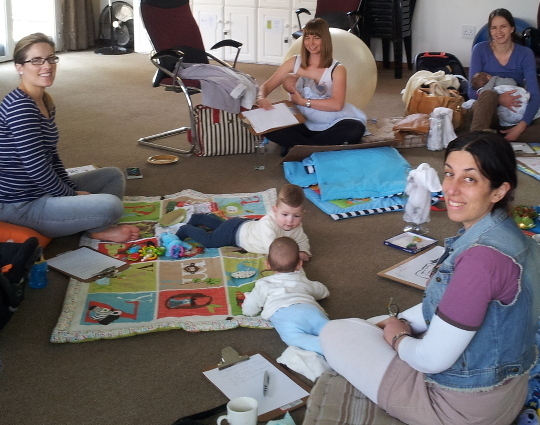 Each group and each workshop is unique and every mother will have her own journey. At the core of the workshop is the spirit of unfolding- discovering who you are becoming, what you are letting go of, and defining how you want to be as women and as a mother. Birth of a Mother - who am I now? Job Description - good is good enough! All mothers are welcome, no matter how you birthed, how many times you have birthed, how you feed your baby, where you birthed or how you feel about your birth. No judgments will be made. 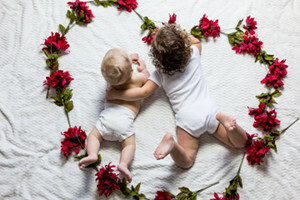 Babies are welcome with their mothers at this workshop. Self care and rejuvenation are vital to a fulfilling experience as a mother. Secure your place in this mothers birthing circle. Place is limited to 8 mothers. Next Mothers Circle Workshop is Starting on 5 March 2019 from 10h00 to 12h00 for 7 weeks. Investment is R1900 and part of it can be claimed from medical aid. When a baby is born, a mother is born too! She is also brand new, vulnerable, learning and in need of support.